On my travels with my camera, I like to look for objects or structures that would make good templates so that other photos can be superimposed or inserted into the template. Windows are a very good subject to use for this kind of thing. As an example, I took a photo of a castle window, and using photoshop, I blacked out the window area so that I could insert another photo within it later on. 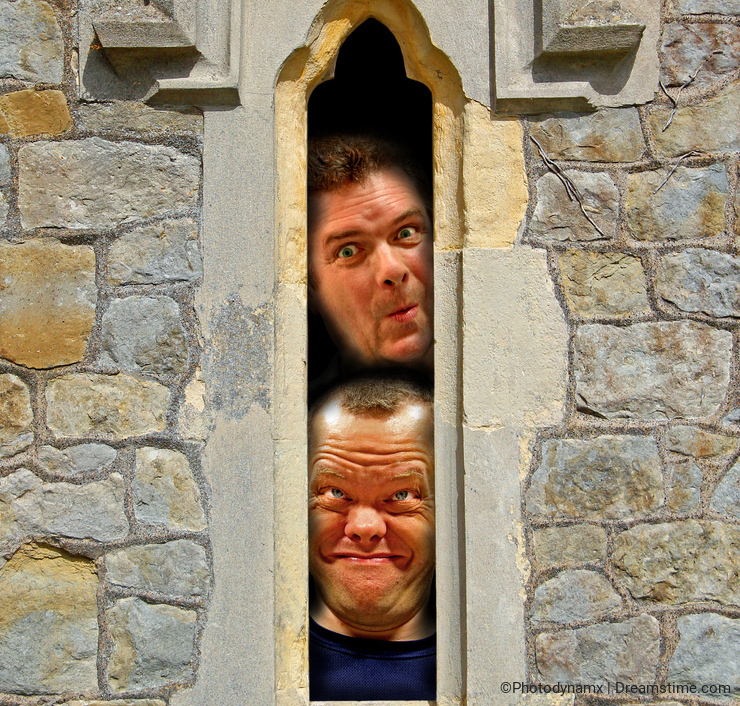 The photo below shows a castle window with two heads peering out with crazy expressions on their faces depicting a prison-like asylum cell situation. Another window from the same castle was used as a template, and I inserted one man's face with another crazy expression looking to the world outside! Remember too that model release forms are required if you are using photos of people! If you want to do something a little less surreal or abstract, all types, sizes and styles of windows can be used. As long as you black out the window/glass area then it can be easily used as a template to insert any scene you like! 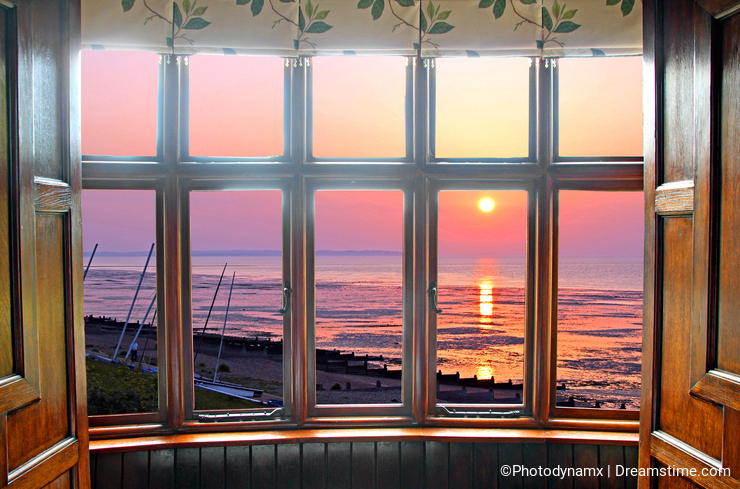 Again, as another example, the same castle gave me an opportunity to take a photo of a beautiful Georgian style bay window which I transformed into a template and inserted a lovely sunset scene. 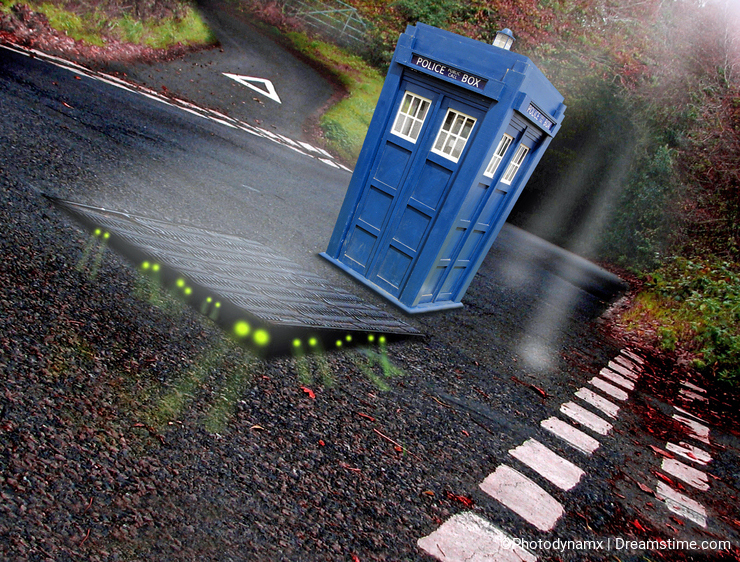 Even the ordinary things around us like a peaceful Kent country lane with manhole service cover can be transformed into an alien invasion science fiction scene, with the time lord Doctor Who coming to rescue mankind from peril! Other tools in photoshop were used to blend in shadows and create special effects to get the final look, but once you have mastered the knack of creating templates...then just let your imagination run wild! The only thing stopping you is YOUR imagination....all the digital tools are there to turn your ideas into realities! On reflection I have many useful template photos, so I will have to put them to more creative use. unusual doors gates and entrances are a favourite of mine too and these are equally good to use as templates!